A very common question at this time of year! Humidity plays a role in evaporation. 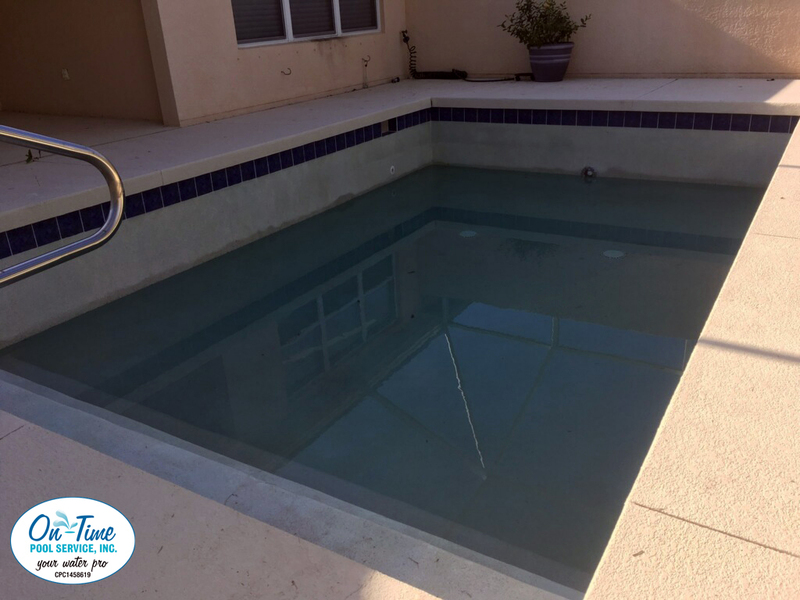 Florida summers are hot and humid, so your outdoor pool probably won’t show a quarter-inch loss each day. 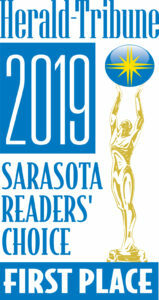 An uncovered outdoor pool, spa, fountain or other water feature may even overfill on a rainy day. 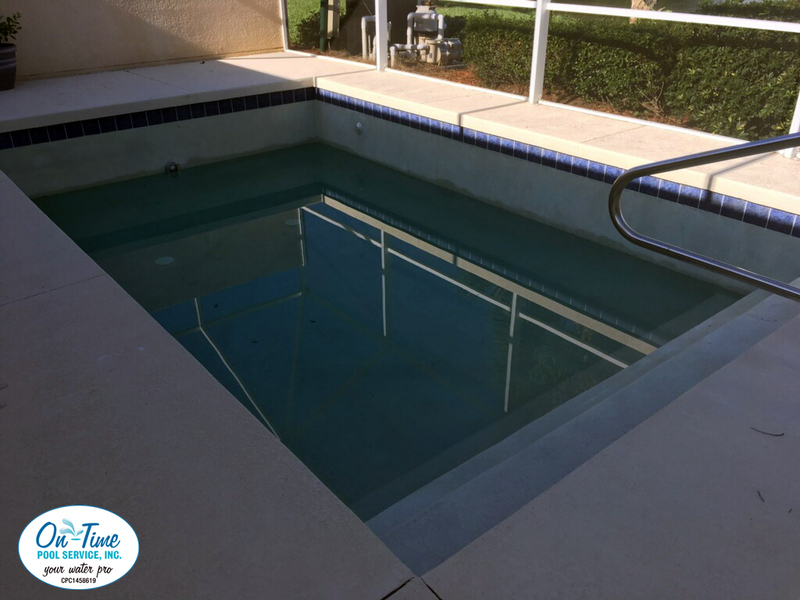 Evaporation in a pool or spa that is indoors is probably more consistent since the humidity level in the room is usually the same throughout the year. You probably need to add a little water to the pool once a week. Keep track of how often and how much you fill the pool to its recommended water level during a month. 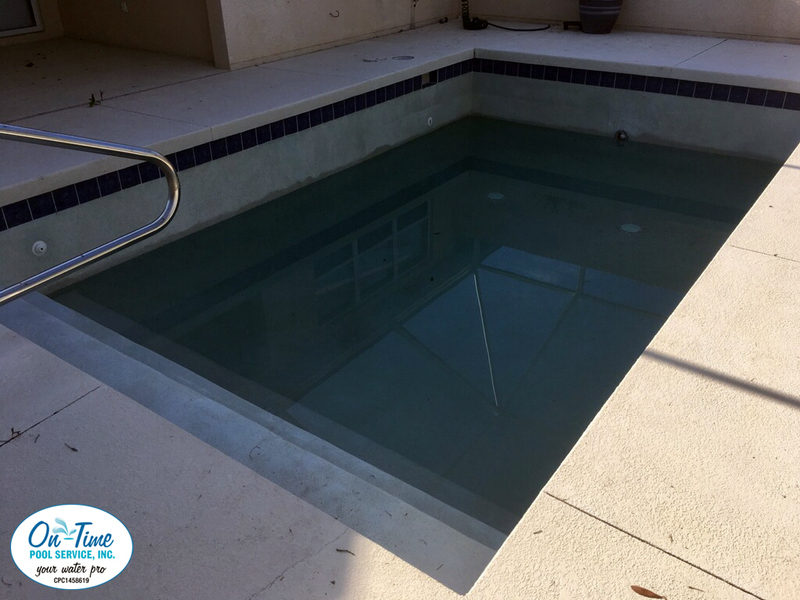 There are several ways to check if evaporation or a leak is responsible for a lower water level in your pool. This is an easy & quick test with the pump off. Place a five-gallon bucket filled with water on a step so that the rim is well above the pool’s water line. Mark the water level inside the bucket and on the outside. The inside mark will show your regular pool water evaporation. If the outside line is more than a quarter inch, start looking for leaks. 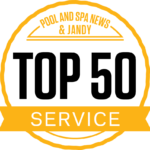 The bucket test should be conducted during a dry day and night for an outside pool or spa. The pool should be unused for a 24-hour period since water loss also results from splashing. 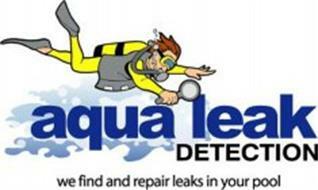 Finding a small leak can be simple. Check fittings and light niches to make sure they are tight. The skimmer assembly should be tight against the pool surface. Check for loose tiles and cracks in grouting. 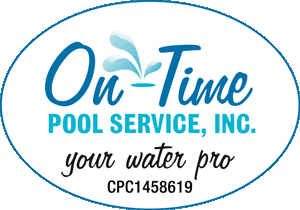 If your pool is leaking, we partner with the very best!